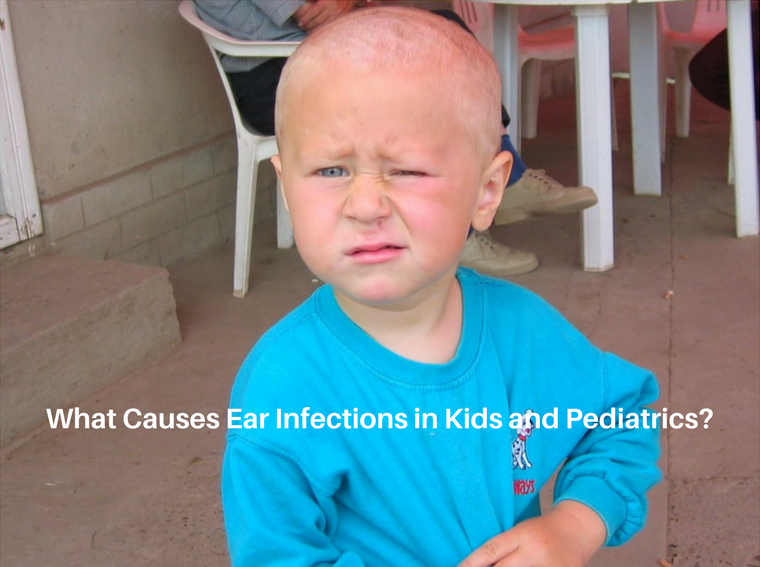 What Causes Ear Infections In Pediatrics and Kids? Conservative approaches to ear infections (Eis) have yet to be implemented by the public. Unfortunately Eis do account for 33% of doctors’ visits and 40% of antibiotic use in children 5 years old and younger. By the age of two 70% of kids experience an Ei. Any pediatrician or ENT knows about the above structural shortcomings of a child’s ET which can inhibit proper drainage. Structural Chiropractic (SC) provides a different means of improving or resolving an Ei. First of all, corrections to the spinal segments involve no twisting of the neck or popping. What is the relationship between SC and Eis? Spinal segments can shift from normal position during a complicated or traumatic birth. These shifts can decrease function of muscles surrounding the ET. If an Ei occurs, gentle and specific corrections to spinal segments will remove obstructions. As a result an increase in nerve communication to the muscles surrounding the ET can result. Proper function of ET muscles are important. Proper muscle function helps open and move the ET improving drainage. If the Ei is indeed bacterial, a course of antibiotics is the first traditional treatment. Yet; there are times when Ei reappear despite taking the full course of antibiotics. If Ei reappear regularly, ear tubes is the next course of action. Compromises to gut flora will happen with any antibiotic use. In this study, certain bacterial strains were reduced even when antibiotics were taken prenatally. It’s no secret that stomach flora plays a major role in health and immunity. Furthermore, it is important to take a probiotic after antibiotic use whether adult or child. As a result gut bacteria will repopulate to normal levels. http://www.corebirmingham.com/wp-content/uploads/2017/05/What-Causes-Ear-Infections-in-Kids-and-Pediatrics-.png 567 760 Dr. Garrett Chow http://www.corebirmingham.com/wp-content/uploads/2016/11/core-chiropractic-logo-1-1030x103.png Dr. Garrett Chow2017-05-08 22:14:472018-03-01 17:01:53What Causes Ear Infections In Pediatrics and Kids? What Did Masters Favorite Dustin Johnson Do to His Back? Need A Nap? Why Are You So Sleepy After Lunch?